On September 22th 2018 Tommaso and I flew to Crete, with the Aegean Airlines company, for the week of my birthday accompanied by our precious Lonely Planet guide. We have chosen a seaside town where we can stay, called Analipsi, east of Heraklion, and we have booked through Booking at Galazio apartments & suites. These consists of a series of very pretty small apartments arranged in front of equipped beach awarded with the “Blue Flag”. We arrived in the late afternoon, so once we were settled in the apartment and refreshed we went to search a typical tavern, and we found it successfully. We went to Sirtaki Traditional Family Tavern, which perfectly reflected the expectations of both cuisine and atmosphere. The next day we granted ourselves a day of relaxation at the sea, to recover the energy lost during the several months of pipeline and transfer to the Lodi area. In the evening, after renting a car, we went to explore the surroundings. We came across the characteristic Piskopiano, where we discovered the very good tavern of Kostas, an authentic gem located on the edge of the square where the church stands above the main street of the village. Monday we headed to the Palace of Knossos in Heraklion, but as we were told, it was a big disappointment. The Palace is all restored and not very organized, there are no indications and despite the map purchased we probably missed some areas. Despite this it was exciting to be able to see things studied during the school years. In the afternoon, after a delicious Pita Gyros, we strolled around Heraklion exploring the monuments and buying souvenirs. Then, we came across the Venetian Fortress of Koules, which for 21 years helped keep the Turks away. Then, it became a prison for the Cretan rebels under Turks’ domain. On September 25th we went to the Heraklion Archaeological Museum. This was completely rebuilt and opened in 2014 and I must say that it is one of the most beautiful museums I have ever seen. My enthusiasm was not only for the materials, which are unique, but for the museum layout, the organization and the path proposed. The exhibition is divided into 27 rooms, arranged between the ground floor and the first floor, and show the archaeological finds from the Neolithic to the Roman age. Obviously this museum is one of the most famous in the world for the masterpieces of the Minoan civilization. On Wednesday, we decided to participate to an organized trip to visit the northern coast of the island. The day was not climatically the best, the temperatures dropped a lot and there was a lot of wind. Anyway we went by bus to Elounda, a fishing village, which took on a higher profile thanks to the hotels frequented by celebrities like U2 and Lady Gaga. From here we took a ferry with which we reached a small beach where a barbecue was organized. In addition to the cold, that did not allow a bath in the sea, the beach was not the best, it was undefiled from the housing perspective but at the same time dirty and not very pretty (I don’t think I will make an organized exit anymore!). After lunch we headed to the small island of Spinalonga. The fortress that stands on the island was built by Venetians in 1579 to protect the bays of Eloùnda and Mirabéllo. Later, in 1715, he surrendered to the Ottoman army. In the post-Ottoman period, between 1903 and 1955, the island was transformed into a leper colony to house the Greeks who fell ill with Hansen’s disease. After touring the island with a guide, we set off for Agios Nikolaos, which stands out for its bars, traditional taverns and elegant clothing stores. These are contrasted by fish markets and rustic kafeneia. For my birthday we decided to go to the heart of Crete. As a first step we passed by Gortys, where two of my archaeologists friends, that stay there for an archaeological mission of University of Bologna, were waiting for us. After a quick greeting we headed to the archaeological site, which covers an area of about one square km. The site is divided into a fenced area and an unfenced area where some of the complexes are scattered among the olive fields of the Cretan peasants. The site is something spectacular, shame about the non-museum part that is not very comfortable to reach, especially if you have sandals. In fact, the paths are not cleaned and cared how they should. Afterwards we headed to Phaistos, but before going to visit the site we stopped at the tavern of Agios Ioannis where we eat an exquisite fried rabbit. After the delicious lunch we entered the archaeological park of Phaistos, which is the second most important palatial complex of the Minoan culture, and among the sites of the time it is the one that still enjoys a suggestive position, with a panorama that sweeps over the Plain of Messarà and on Mount Psilorìtis. Festo has also undergone restoration works, but unlike Knossos, where it has not undergone reconstruction, it remains immersed in an aura of mystery. As a last day of vacation we decided to take it very calmly. We went to have international breakfast at Votslakia Restaurant, and in the meantime we have planned the last trip of the holiday. We decided to visit Mallia, a contemporary site to the other two Minoan palaces of Knossos and Phaistos. Mallia has given me many more emotions than the other sites visited previously, it is much less restored, much more organized with panels and signage and much more realistic. From this site comes the famous gold pendant with bees kept at the Heraklion Archaeological Museum. After this last visit, we went to relax on the beach before returning to Italy and to work above all, and we enjoyed the last moments on the beach and the end of our summer. After eight months on the pipeline in Lodi I have finished, because I was finally able to find a site closer to Ravenna that allows me to return home every day … this thing, that for other people it may seem trivial, for me it is something awesome! I can finally sleep in my bed, with my cat, stay in the bathroom as long as I want and eat when I feel like it. Don’t get me wrong this experience has led me to meet mediocre people but also beautiful people with whom I will certainly maintain a genuine relationship, but having my own space is also a beautiful thing. I started working on this pipeline in April, after five months off, I was initially very enthusiastic, even though it was nearly 300 kilometres from my current home. The thing that disappointed me most and then pushed me to look for something else was the presumption on the part of my colleagues, who had a role equal to mine, who had a constant need to self-praise. The common thread of this yard has always been, in fact, questioning the professionalism of others, especially of the younger ones. All this has been very debasing, but then I must also thank this situation that has tempered me and spurred me to look for something else. Surely the time of the greetings was not easy, eight months together, especially for the bond created with some people. My roommates, for example, we had become a small and cheerful family, some attitudes were annoying, like those of a brother or sister, but at the same time those defects made me smile. Or like my friend Margherita, who at the time of hugs has also torn a tear, I will miss her so much, I do not know how I’ll do without our talk and without our laughter born from completely invented scenarios. Without some of them I would have never made it to last eight months in this context, it is nice that despite the difficulties and the annoyances something good was born. The thesis on the O(perative)S(ystem)-Culture.org project was finally discussed on March 21th 2018 by Tommaso Saccone, my partner in crime, in work and life. Fifty years have passed since the first computers and IT tools were adopted in the archaeological field for study and research activities. In fact, in the 60s of the last century, the Professor Maurizio Tosi with the archaeological mission (ISMEO – ISIAO) in Shahr-i Sokhta (Iran) began to use the first computers for the elaboration of databases for the organization of the archaeological record using the historical formats .db3. Since then, technology has made great strides, in fact from table .db3 we have moved to complex and articulated Geo Databases that can contain terabytes of heterogeneous data, all geo referenced and in constant relation between them. Soon, tools such as 3D modelling, the development of GIS and BIM, for the study of the territory, will also give great impetus to the methodology of archaeological documentation thus aligning with the European directives that manage spatial planning and public works. How to acquire, process and communicate this vast and heterogeneous core of data? How to archive this data to make it immediately reusable? They have tried to answer these questions by developing a tool for archiving and communicating the archaeological and cultural data “O (prerative) S (ystem) -Culture.org”, a CMS useful to communicate the complexity of archaeological data thanks to digital technologies. The idea for this project was born in 2012, in collaboration with the Professor Maurizio Tosi, who would soon retire, and who wanted to find a way to make the data acquired during his career accessible. To date OS-Culture.org has been used to organize: part of Professor Tosi’s personal archives and for the management and communication of archaeological data and information from the Italian Archaeological Mission in Armenia and the Caucasus (MAA-ISMEO) and from the Institute of Archeology of Yerevan – Armenia (IAE NAS RA). Following the Bachelor thesis of Tommaso Saccone “GIS software in comparison: the case of the Pieve di Santa Reparata, Terra del Sole (FC)”, it was decided to continue working with open source software to keep production costs low and at the same time have the possibility to modify the source code, so, if necessary, to adapt the software to the needs of the OS-Culture.org project. 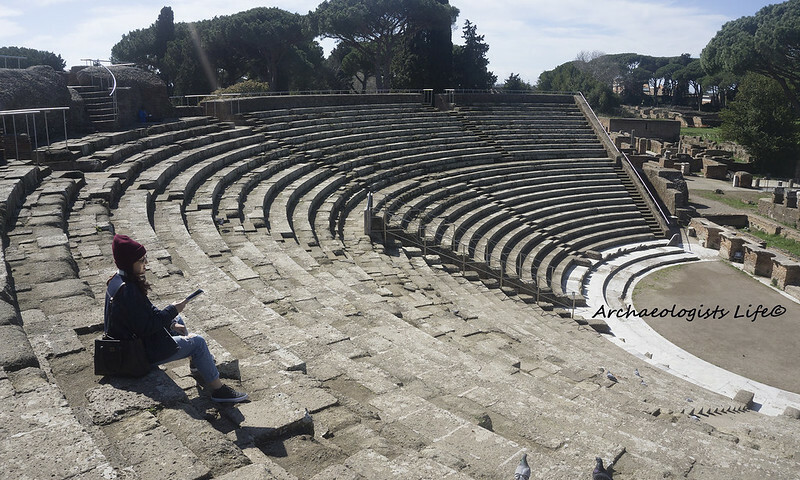 The final goal of OS-Culture.org is to offer an instrument, from simple and immediate use, that allows the complete management of the archaeological documentation process, always maintaining the authorship of the data. If you want read more use this link http://os-culture.org/file-download/OperativeSystem-Culture_Project_eng.pdf. 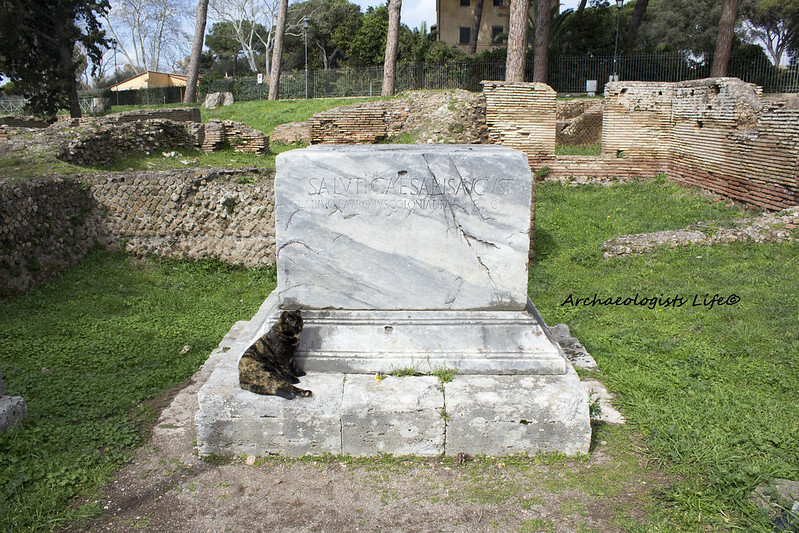 Saturday, March 10th, me and my colleague of the Minerva Association were to visit the archaeological park of Ostia Antica. 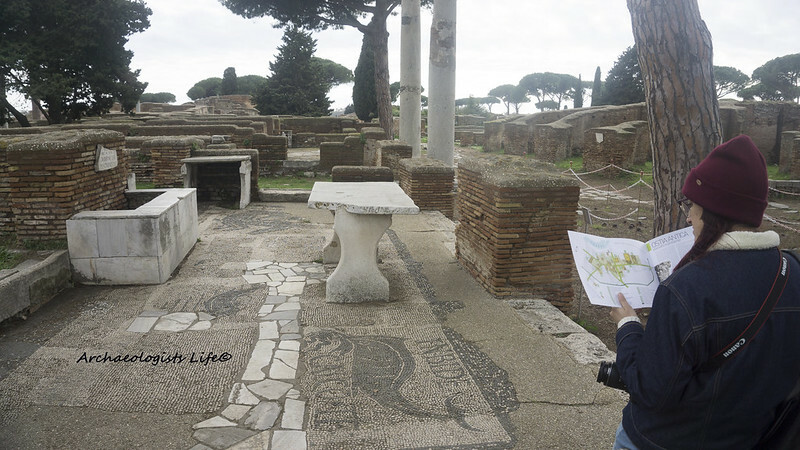 While we were making tickets, I decided to buy a small guide called “Ostia Antica: a port for Rome” with annexed reconstructions. The guide initially presents the index and a map, then follows a brief introduction to the various phases of the site, and a brief explanation for each location of the route even if they are not told all the places that will meet during the visit. 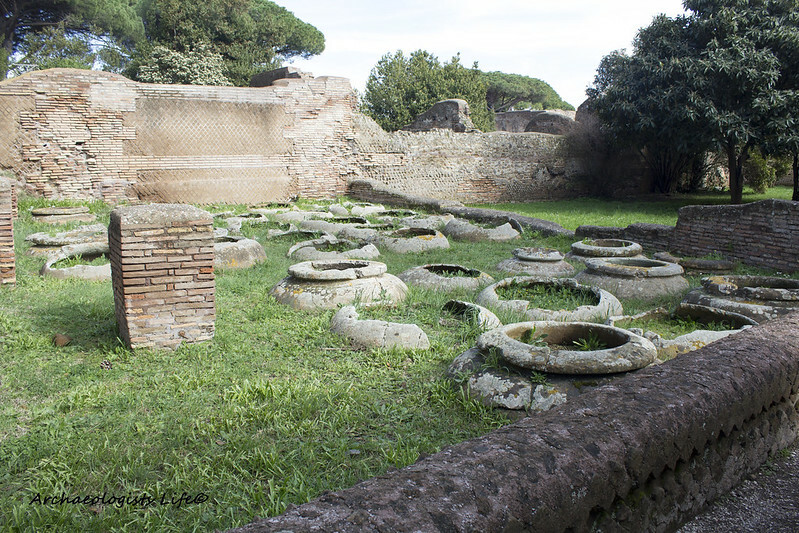 According to the literature, the city of Ostia was founded by King Anco Marcio at the end of the VII century BC. 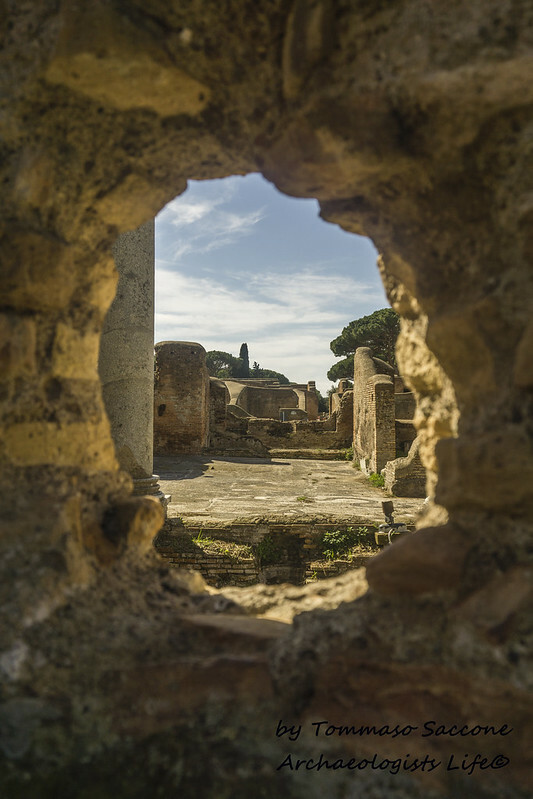 However, the most ancient structures brought to light during the archaeological research can be dated back to the beginning of the IV century BC. 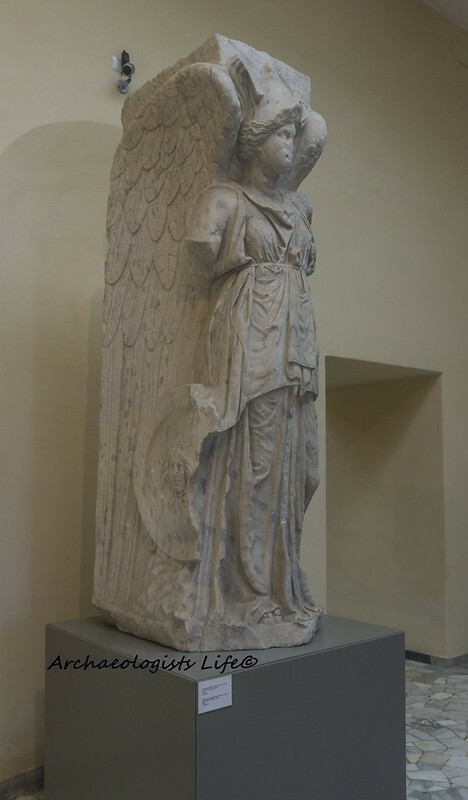 It is hypothesized that the realization occurred at a time after the conquest of Veio, Etruscan center, completed in 396 BC. The excavations also returned findings and traces of huts related to an earlier phase, probably dated to V century BC. 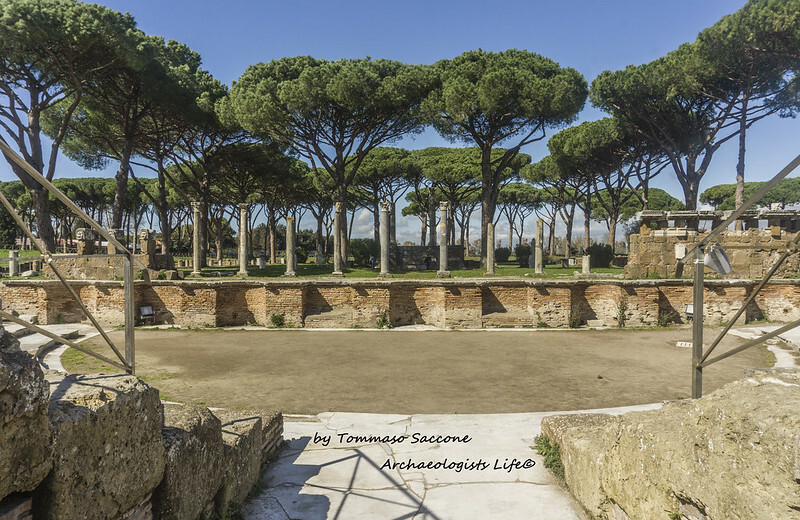 So, it is very probable that there existed an initial foundation of Ostia, perhaps to be found in an area not yet explored. Certain is the antiquity of the frequentation of the area, justified by the significant role that this part of the left bank of the Tiber covered in the salt trade. Here, there was the last part of the salary route which was of vital importance for the Sabine populations, who could only reach the salt flats at the mouths of the Tiber just by following it. Since the VIII-VII BC. Rome showed interest in this strategic importance. 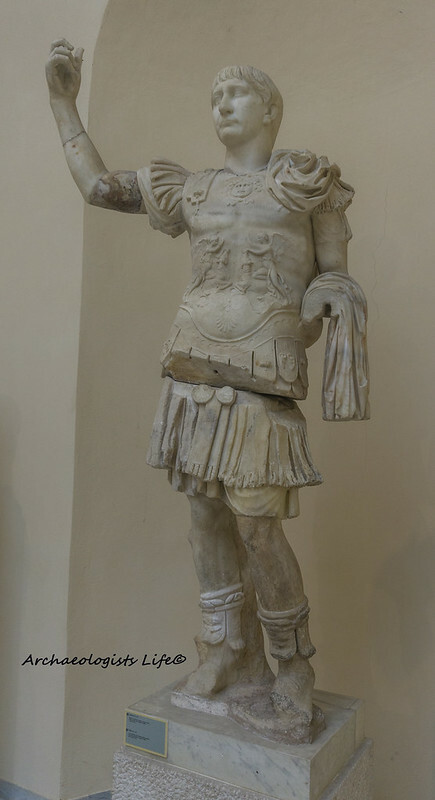 in fact, it is necessary to read in the struggles between Romans against Latins and Etruscans the intention to extend the roman dominion to the sea, followed by Ostia foundation in the VII century BC. that represent the reflection of this historical reality. The archaeological site is truly spectacular, unique and immense. Unfortunately, these exceptional characteristics are not totally enhanced by the path itself. First, the whole area is dirty and overwhelmed by vegetation. The trail is not reported, except for the architectural structures that run along the decumanus, but beyond these other fantastic areas, even though they are marked on the map, sometimes there are unattainable or in other cases have led us to get lost along the way. Moreover, many areas we have not been able to visit because they are not very well signposted. Second, almost all the mosaics, especially the most important, are protected by sheets, and therefore not appreciable. Halfway around you can stop, in fact the park offers a refreshment point, services and bookshop. 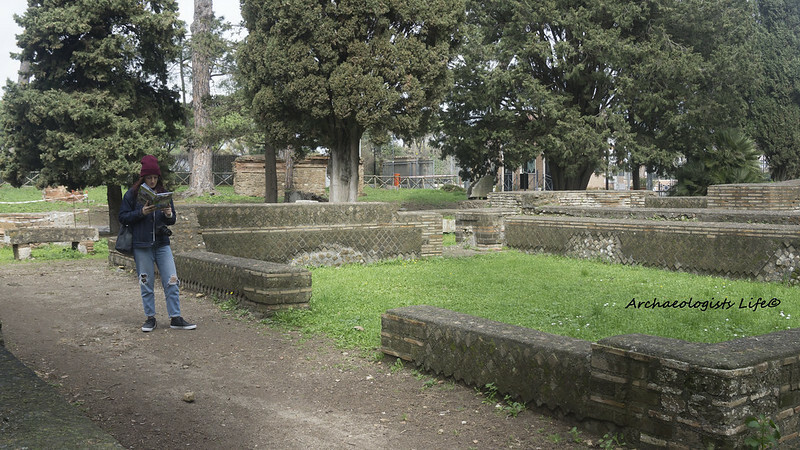 In front of this area there is the Ostiense museum, where the statues found during the excavations are preserved, like the original copy of the statue of Minerva-Vittoria, found at the attic of Porta Romana, dated to the I century AD, or as the statue of the Emperor Trajan, found at the Schola di Traiano, dated to the II century AD. After the break we continued for another two hours inside the park. Following the decumanus and appreciating all the structures along the main road. 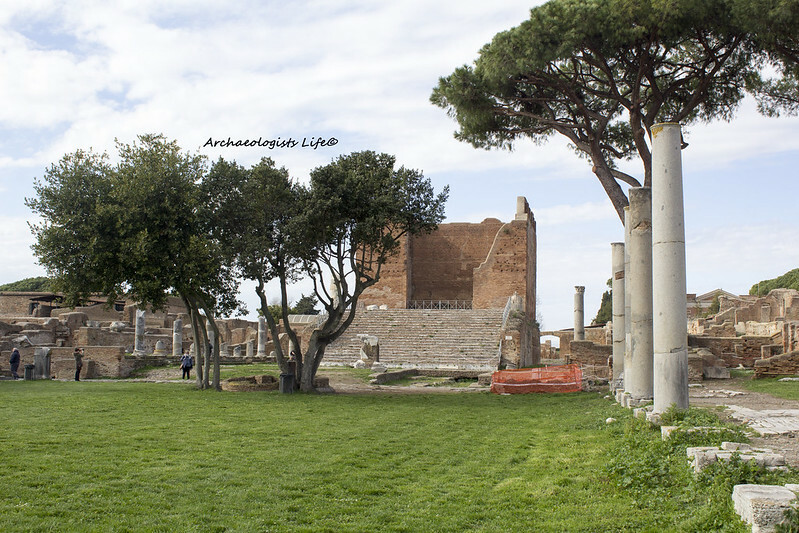 In a branch of the decumanus, in via della Foce, we lost between Casa di Amore e Psiche and the Temple of Hercules. 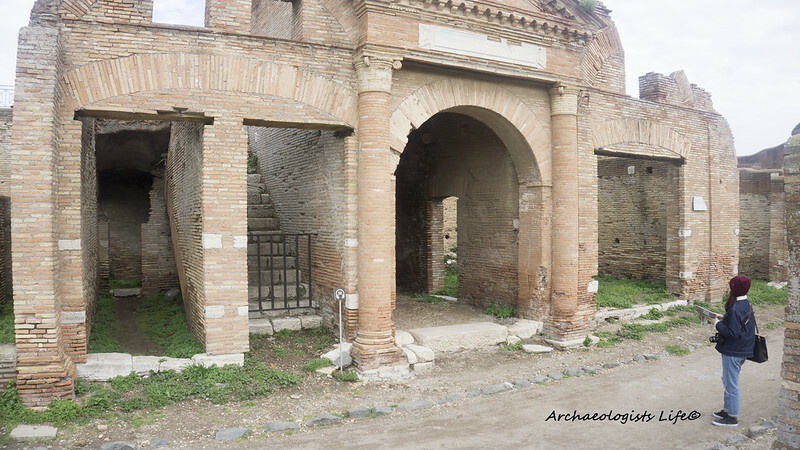 For this reason we appreciating very quickly the Christian Basilica, the Schola del Traiano and all those the whole thing located on the opposite side of the decumanus, unable to finally visit the Synagogue which is the last of the buildings. 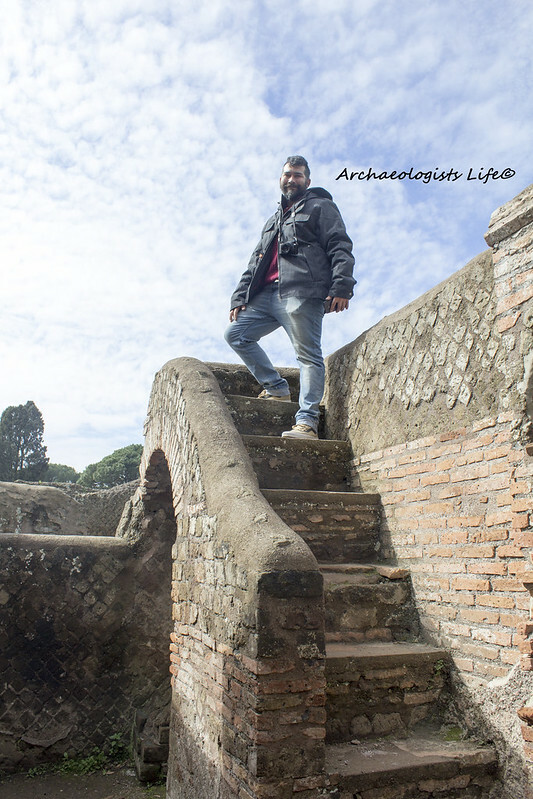 The experience was magnificent but an archaeological park of that size and importance would deserve greater attention to communication as well as the site itself. today I want to tell you about my first archaeological excavation, which took place in 2009, the Parish of Santa Reparata (FC-Italy). This excavation not only made me realize how much I really loved archaeology and excavation, but it made me fall in love with the Middle Ages, the Christianization of countryside and the burials, even though in this excavation I still didn’t know how much really loved these latter XD. At the beginnings I really felt like a fish out of water, like a child who was on the first day of school. I was already at the first year of University, and so I was settling into a new routine, a new city and new people, I just missed being a digger freshman XD. But as in all situations I settled in a few days, not only to live with many strangers bigger than me, but also in the worksite, showing so much willpower and physics, although I was so thin at that time … but as we know in archaeology it is not a question of force, but a question of levers. This was my first great love that I will carry forever in my heart. This excavation was so complete that it was the best didactic excavation that I’ve ever done, I could use techniques that would now be defined as “obsolete”, but which are at the base of all the innovative documentation techniques used nowadays. 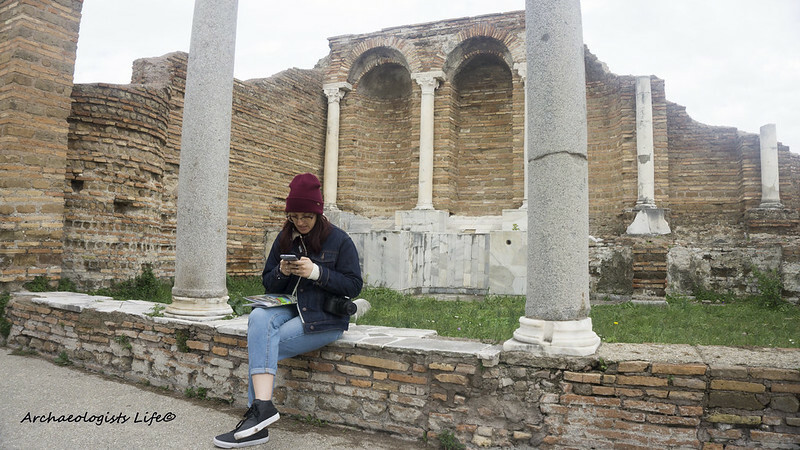 Precisely for these reasons, at the third year of the University I decided to do my Bachelor thesis on the Parish of Santa Reparata, concentrating especially on the study of burials, both from a taphonomic and physical point of view. I leave you with a summary of the excavation campaigns. The Parish of Santa Reparata is located between the villages of Terra del Sole and Castrocaro Terme (FC). The study of the church was divided into two excavation campaigns, conducted in 2006 and 2009. This parish is a certificate of considerable importance in the architectural panorama of Romagna. This is because despite the changes in purpose of use of the building of worship, the original structure and the peculiar characteristics of Romanesque art are clearly present. 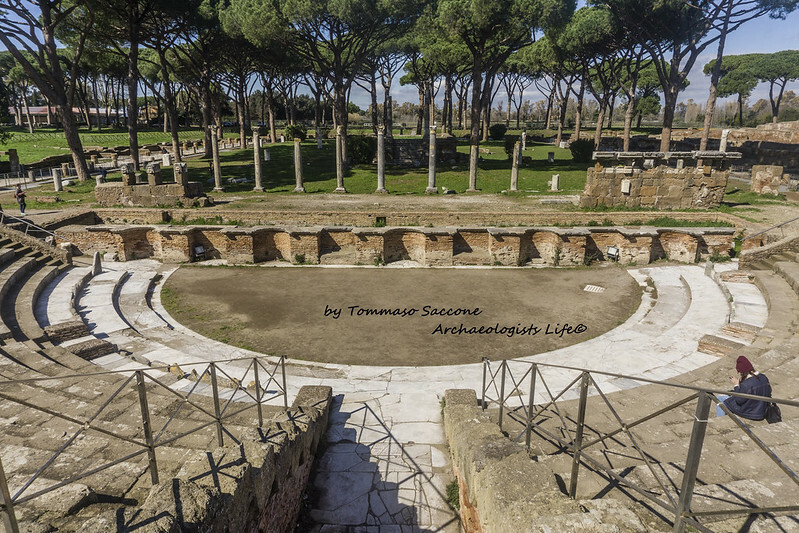 The archaeological excavation has highlighted the presence of a complex settlement, characterized by the prolonged occupation of the site from the Roman age. In fact, in this phase there is the presence of a small apsed room, probably to refer to a larger villa. The construction of a cruciform-shaped cult building, articulated in a central nave culminating in a circular apse with two lateral rooms, is due to late antiquity. Inside and outside the church there is a cemetery area dating back to the VI-VII century. The cruciform church remains in use for a long time, so much to be identifiable with the early medieval church mentioned in the written sources of the X century. During the medieval phase the church is divided into a system with three naves divided by six bays supported by five pairs of cruciform pillars. There is also a cemetery area adjacent to the facade and the north aisle. The subsequent Romanesque phase is evidenced by the presence of traces of a vast crypt originally placed under the presbytery of the central nave but probably also present in the terminal part of the side aisles. During the construction of the church, a bell casting system was built in the nave in front of the crypt. During the Renaissance the parish underwent the drastic reduction of the volumes to a single part of the central nave, which was decorated with a cycle of frescoes, and a raised presbytery emphasized by a stairway and serene stone capitals with a floral motif to support the cross-vaulting roof. The consecration of the homonymous church of Santa Reparata, during the XVII century, inside the Medicean citadel of Santa Reparata probably marked the end of the rural parish that was gradually demolished and intended for residential and agricultural use. Hello everyone, here I am! I am Cristiana and I am an archaeologist. I wanted to create a blog that would tell the real life of an archaeologist. Why do I say “real” life? Well because in general the archaeologist is a figure of other times, an adventurer looking for something mysterious, that wanders in dangerous places and far from our everyday life. Think of Indiana Jones, Relic Hunter or Treasure Guardians. No, the real archaeologist doesn’t use either weapons or whips, nor does he have to deal with unpleasant or paranormal situations. The real archaeologist works in our beautiful cities, supporting large public and private works, such as construction of pipelines, the district heating network, or even highways. Would you ever have imagined it? !